From Monday you have been learning concepts, definitions and types of NOUN and PRONOUN. I am very happy that you all are regularly updating your class tasks as a form of a comment. 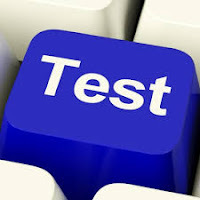 It shows that you really enjoying learning via blogs, video and interaction. Your active participation motivates me to teach you with different innovative ways. 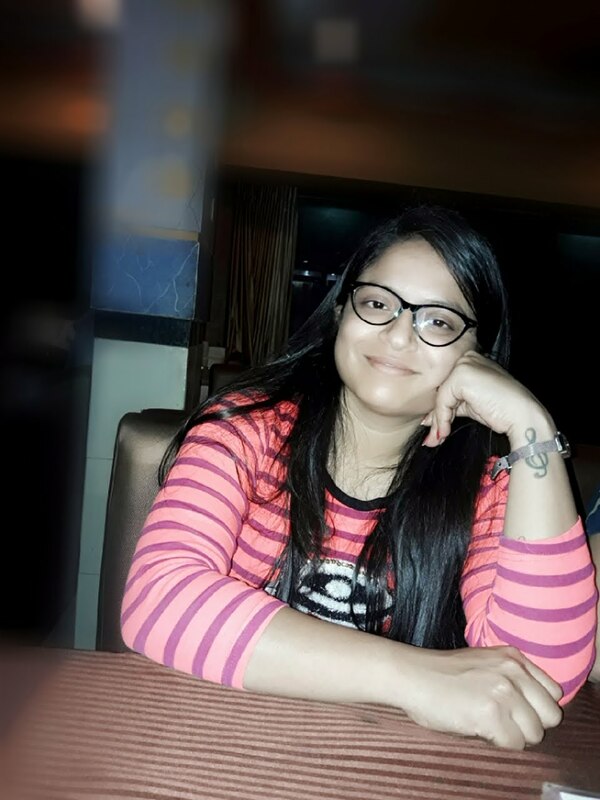 Here, I am sharing you a link, which has around 10 questions. Click the link and answers the questions. We will discuss about difficult questions in the classroom. listen this small inspirational video and comment your views. Look at the chart of Pronoun, which really assist you to get quick understanding of pronoun. 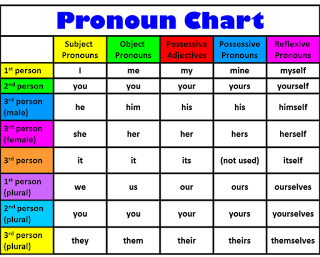 Pronouns are the handy little words that take the place of nouns, both common and proper, within sentences. Pronouns are words that replace nouns- people, places, and things- in your writing. Common pronouns include words such as: I, me, my, he, she, we, us, them, they, and it. The student was frustrated because he did not understand the homework assignment. Here, “student” is the noun and “he” is the pronoun that replaces it. The student was frustrated because the student did not understand the homework assignment. The student did not finish the homework assignment. Instead, the student went out with friends. The student was frustrated because he did not understand the homework assignment. He did not finish it. Instead, he went out with friends. Ready to watch video ! To learn and understand the basics of grammar the knowledge of all parts of speech is must. While writing and speaking each word writer or speaking is used are parts of speech. In our day today life whatever words we are using are any of parts of speech. There are eight parts of speech. I have already started to explain the Noun in classes. Here, I am sharing short movie clip to understand basics of all Parts of Speech . 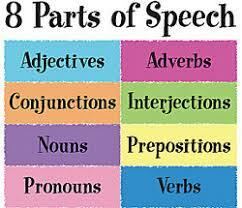 In the above image all the name of parts of speech are listed. Have a look and try to create basic understanding from the short movie clip which I am sharing you here. Teaching has been my passion and I love teaching with various innovative, creative and interactive methods. I truly believe that this is one of the best teaching methods to discuss with students and ask them to learn, review and understand the topic with discussion. Here, for your reference I have prepared some useful content based on your syllabus. Read, Explore and understand it and discuss with your friends and family. Personal communications may be private letters, memos, emails, personal interviews or telephone conversations. Personal communications are only cited in text and not included in the reference list, as the information is unable to be retrieved by others. Interapersonal communication is a communicator's internal use of language or thought. It can be useful to envision intrapersonal communication occurring in the mind of the individual in a model which contains a sender, receiver, and feedback loop. Intrapersonal communication is the communication that occurs within an individual. An individual uses this type of communication for various purposes such as analyzing situations, clarifying concepts, and reflecting upon phenomena. There are three elements that govern intrapersonal communication, namely self-concept, perception and expectation. An individual employs certain methods to communicate within themselves and these are internal discourse where thinking, concentration and analyzing occur, solo vocal communication which involves speaking out aloud to oneself, and solo written communication that encompasses writing not intended for others. Interpersonal communication is the process by which people exchange information, feelings, and meaning through verbal and non-verbal messages: it is face-to-face communication. Interpersonal communication on the other hand is the type of communication that takes place between people. 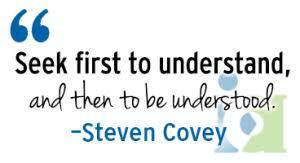 People communicate with each other for a number of reasons such as to explain, to teach, to inquire, and to inform. The channel of interpersonal communication consists of four basic elements; sender, message, medium and receiver. There are verbal and non-verbal forms of communication that are used to conduct interpersonal communication and these include letters, signs, notes, text messages, e-mails, memos as well as face-to-face conversations. Having at least a basic understanding of your own style is very important to building better relationships in your personal and professional life. You may find yourself in situations where someone’s communication style clashes with your own, leading to conflict in the workplace. Alternatively, you may have a communication style that other people find difficult to understand, which means that you could struggle to get your message across. “Good communication opens doors… and poor communication closes them. Look the video. Invest your 8 Minutes to understand fundamentals of Personal Communication. Comment following answers in the comment box, based on your comment we will discuss further in the next class. Why do you need personal communication? What two things you have learnt from the video? Good Morning My Dear Students! While commuting via bus, I use to get chance to listen what young Indian think about education, politics, relationship and environment. To be truthful, I have noticed one thing that at some extent present young, dynamic, energetic and enthusiastic generation is right. 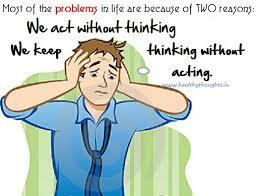 They can 'GOOGLE' and find out solution of every questions which arise in their mind. However, they have started questioning but they have not any idea or skill to solve or tackle the problems of their own personal lives. This morning, I read this small anecdote which has very few lines but students it will teach many things in your life. 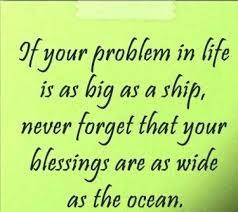 Life is all about challenges, problems and opportunity. Students, do not afraid to accept the challenges, to face problems and do not be nervous while accepting new opportunities of life. Read, Understand and Comment after reading this story. A man’s favourite donkey falls into a deep precipice. He can’t pull it out no matter how hard he tries. He therefore decides to bury it alive. Soil is poured onto the donkey from above. The donkey feels the load, shakes it off, and steps on it. More soil is poured. It shakes it off and steps up. The more the load was poured, the higher it rose. By noon, the donkey was grazing in green pastures. After much shaking off (of problems) and stepping up (learning from them), One will graze in GREEN PASTURES.